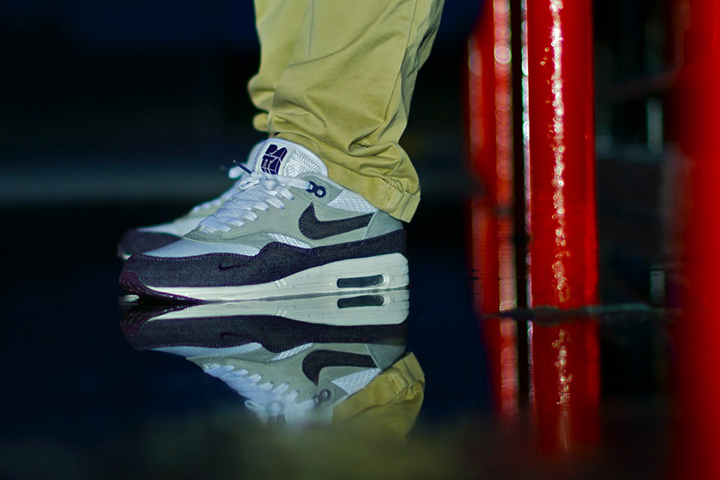 The Nike Air Max 1 is an iconic shoe that has always been a firm favourite of mine, ever since I first started collecting kicks seriously in 2001. 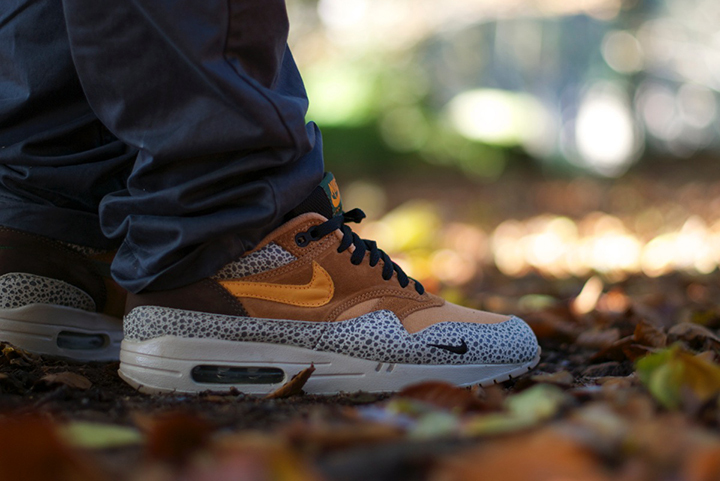 Whilst Nike didn’t really release any limited models until Atmos got their hands on the shoe in 2002, since then we have seen a great number of highly limited and extremely sought after Air Max 1’s, both as collabs and in-house Nike designs. 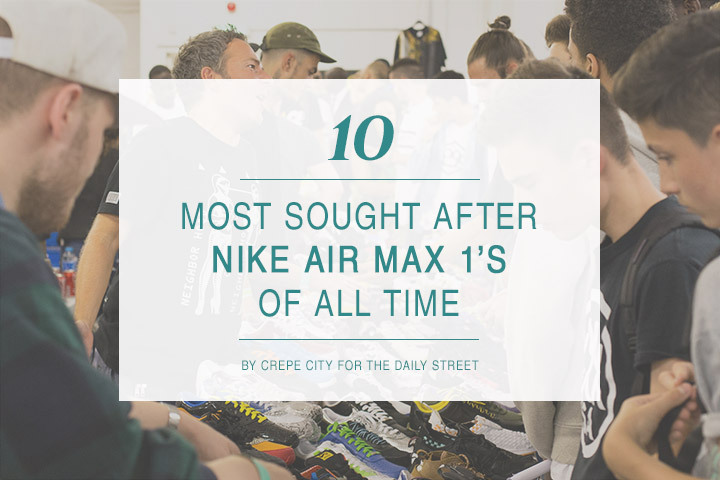 On this list we have tried to base our ratings on the demand for pairs that we see on the Crepe City Facebook pages and at our events. The main criteria that we see people look for time after time are the shape of the shoe and the quality of the materials. Another pair released 10 years ago makes the list. 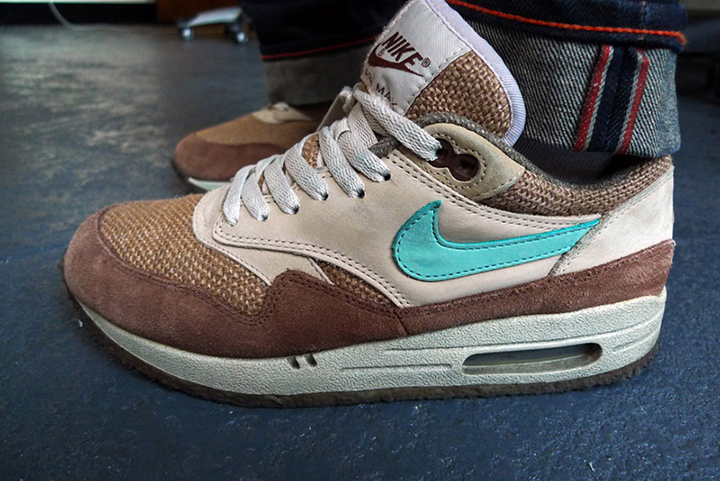 With use of beautiful shades of brown and tan and a stunning baby blue Swoosh, this pair of Air Max 1’s look stunning. The hemp toe box and crepe sole are also very rarely used features on an Air Max 1 and that helps this model to stand out from the crowds. 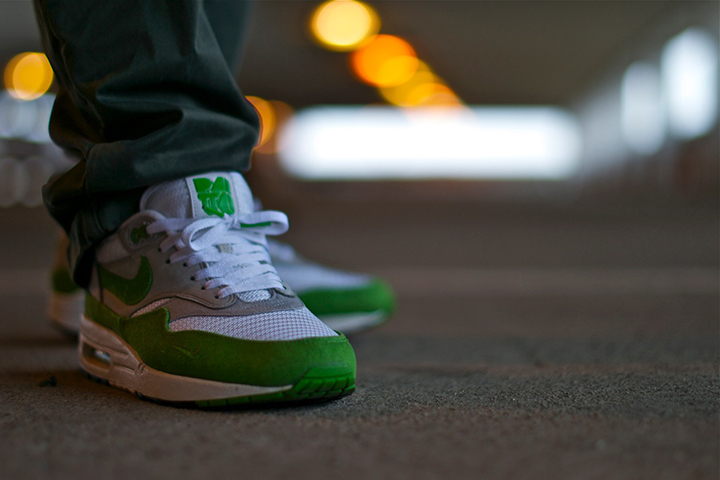 These were also released along with equally good looking Air Max Bursts and Air Max 90’s. The Urawa was released in 2004 as a tribute to Japanese football team Urawa Red Diamonds, based on the team’s home kit. 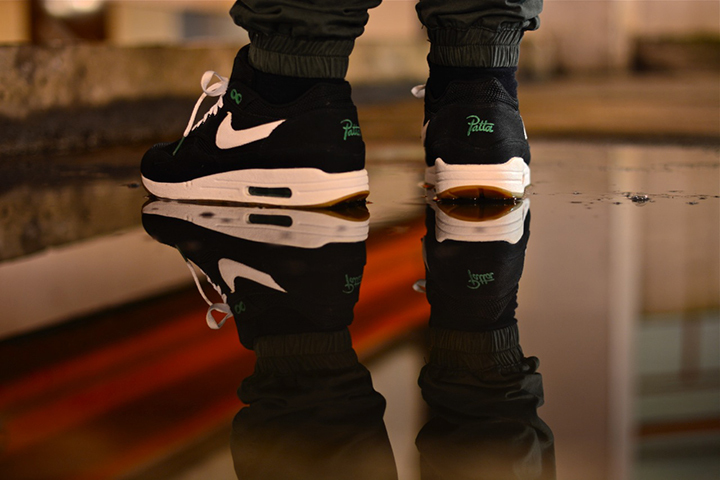 The allure of this being a model that was extremely hard to find outside of Japan, along with the eye-catching colours, limited numbers and the great shape of the shoe itself make this an all time classic for Air Max 1 fans. Limited to 144 pairs, the Morning Glory were part of the Tier Zero collection released as part of the Powerwall collection (even though they were no more limited than the non Tier Zero releases). 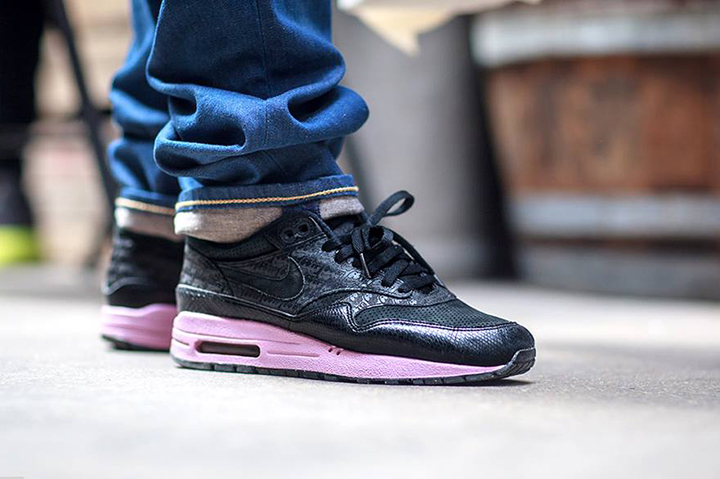 The black upper with the bright pink midsole looks stunning! 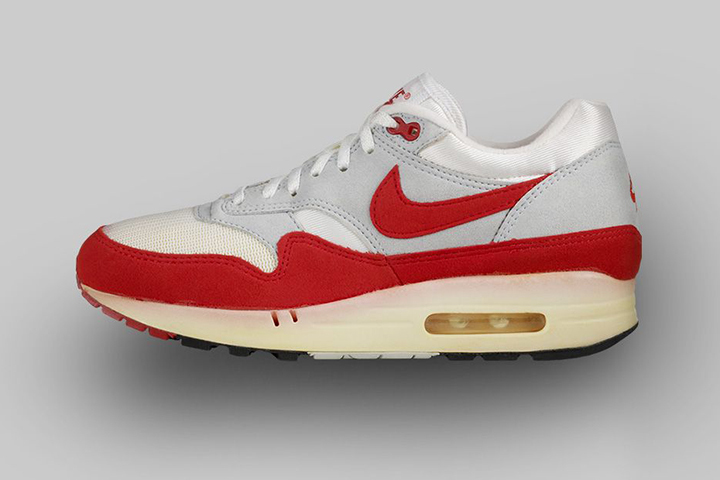 It’s hard to believe, but when these released the Air Max 1 wasn’t all over the place with people everywhere wearing them. It was quite a low key collector’s shoe and the perfect silhouette for Atmos to work up a very special design on whilst the spotlight was on Air Force 1’s and Dunks. Inspired by the print found on the Air Safari, Atmos did a great job in creating a real head turner of a shoe whilst not going overboard. Now over 10 years old, it’s proving hard to find pairs in deadstock condition. 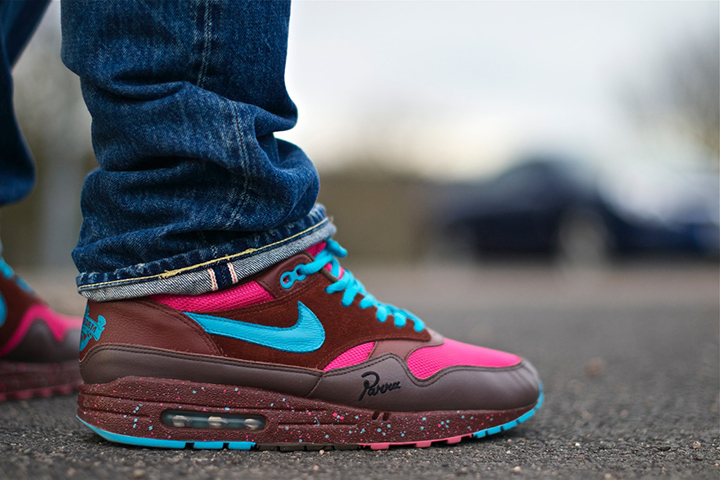 Whilst on the release of this shoe in 2007 some were sceptical about a leather toebox on a Nike Air Max 1, it was impossible to miss the appeal of this pair of kicks. 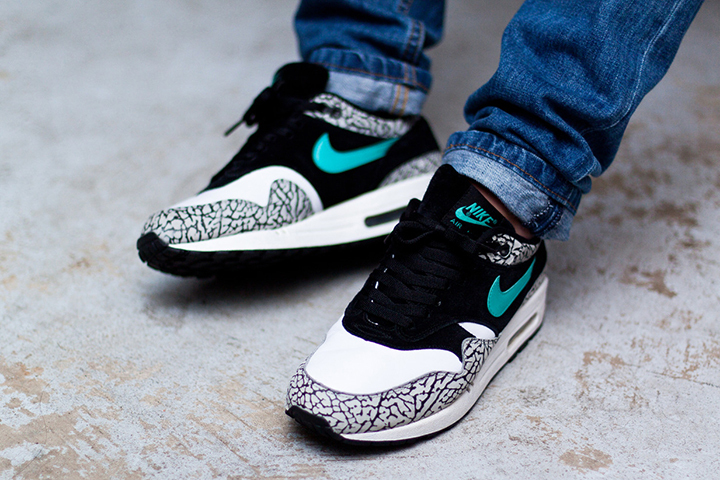 Collectors had been fiending for years for the iconic elephant print to appear on an Air Max 1, add to that the beautiful teal Swoosh and the Atmos Tokyo name being attached and this was always going to be a sure fire hit. Designed in collaboration with vinyl toy Giants Kidrobot and released exclusively at Barney’s in New York in 2005 in extremely limited numbers, this shoe is a perfect example of how quality alone can make a pair of kicks so sought after. Whilst the colourway isn’t the most eye catching, the premium leather is something else, and possibly the best quality of materials ever seen on an Air Max 1. The Kidrobot keyring, pull out drawer box and sealed extra inner soles are all nice touches that make this collaboration just that extra bit special. Initially this special collaboration between Nike and Piet Parra was designed in a great orange and blue colourway based on the colours used by Dutch supermarket chain Albert Heijin. However with the supermarket changing it’s colours before the shoe was released the design was scrapped and few pairs were released. Instead of the Albert Heijin colourway, Parra went back to the drawing board and designed a stunning shoe inspired by the Amsterdam red light district. For those who want something even rarer, there was also a highly limited Hyper Strike pair given to friends and family with a ‘Parra’ signature on the upper. This 5 shoe collection is stunning, but it would have been a cop out to have it dominate the whole list so we decided to group it together. 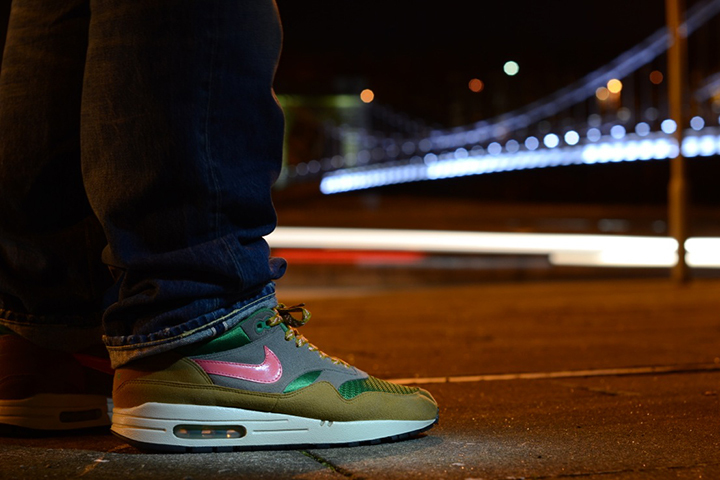 These were released as part of the 5 year anniversary celebrations for the Amsterdam store Patta. We initially saw the release of the highly limited purple and white colourway that was exclusively released at Patta along with the green and white colourway that was released worldwide, this was then followed up by a superb black colourway and a less impressive mish-mash denim and corduroy colourway that arguably used too many colours. Finally, the Parra x Patta cherrywood colourway was released in extremely limited numbers. This pack is a perfect example of how a collab should be done – great colour schemes, premium materials and a good shaped shoe. 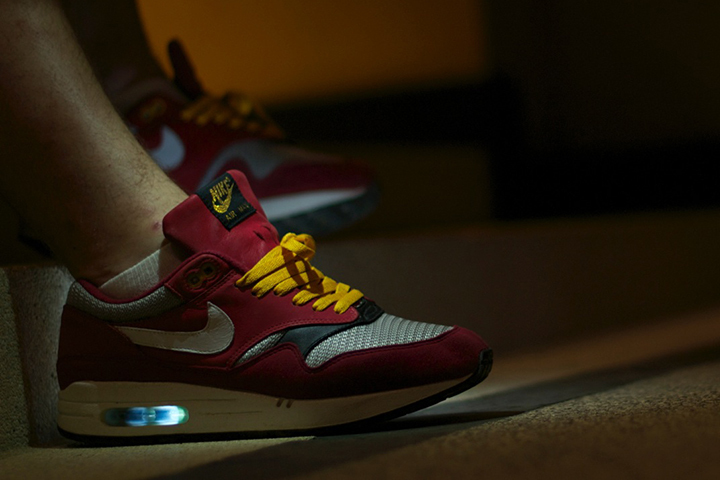 Inspired by the running shoes marketed by the Blue Ribbon Sports company that eventually evolved into Nike, this Air Max 1 was also a part of the Powerwall series released in 2005. Always at the top of most peoples wanted list, the age of the shoe along with the extremely limited numbers mean that any time a pair goes up for sale prices go crazy. It’s also worth giving a nod to the lemonade Air Max 1 from the Powerwall collection. The colourway is great and whilst the colourway isn’t as impressive as the BRS or Morning Glory, it is still a great shoe. The original undisputed king and the starting point for where the amazing Nike Air Max journey began in 1987. Whilst this shoe was a general release found in most sports shops, we have included it as the most sought after as it is just near impossible to find a pair in decent condition with so many fans on the hunt for them. 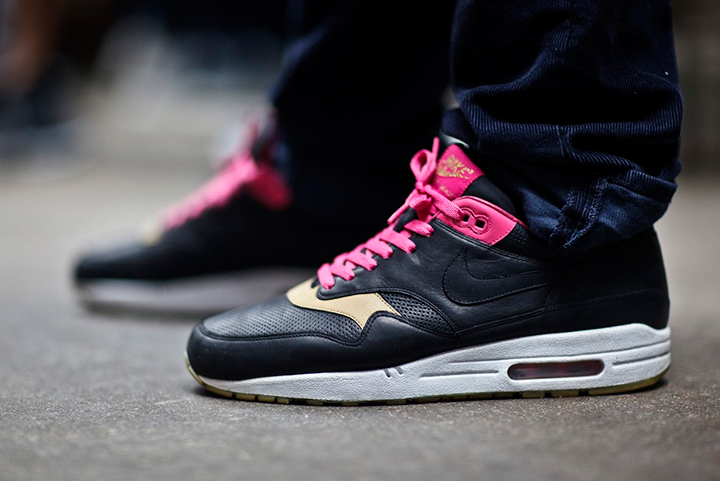 Whilst Nike have re-released these on multiple occasions, nothing will satisfy the hunger for the godfather of all Air Max 1’s. Love the BRS and Urawa. Well, love almost all of these, but really love those 2. Viotechs not even in the top 10…? What about some newspapers…? Some grapes are missing too… Where did the beast go…? You lost all the animals…? One did Escaped… ??? ?